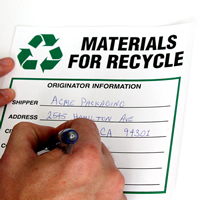 Label your Recovered Materials for Recycling. 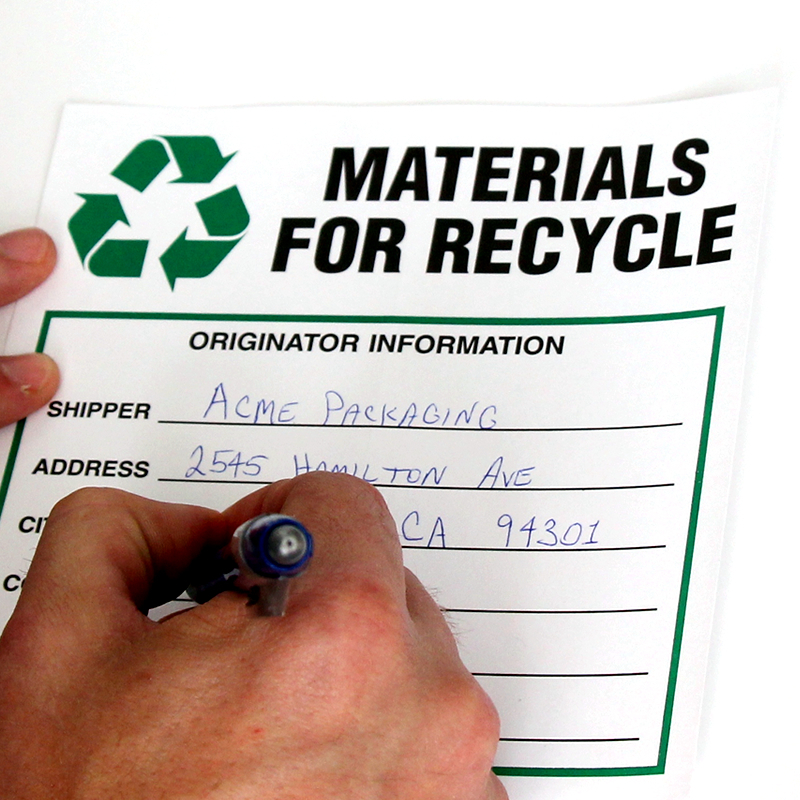 A durable Materials Label and a recognizable graphic make organization easy. • This bright green graphic and design draws attention to recyclable storage information. • These labels arrive in packs of 100; their aggressive adhesive bonds to unusual surfaces, glass or plastic. 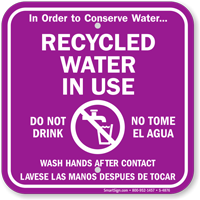 • Tough Vinyl labels withstand exposure to toxic chemicals and abrasion.